The dive - watch, search, surface, and success! 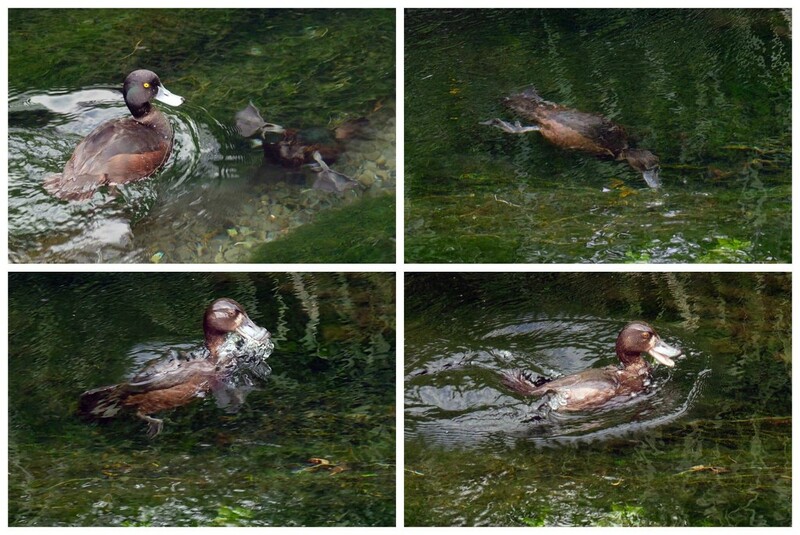 Scaup, New Zealand's native diving duck. The female diving, the male watching. Great captures. I haven't seen this one before.